If we consider as good the sources which are providing us images with the new Samsung Galaxy Note 3, then we can have the first battle of pictures of these two fine devices. The new device will look pretty standard which means that it changed only a little bit from the image of its predecessor. The side bezels of Galaxy Note 3 will be very thin as we can all see into the pictures found on the internet in the few past days. The size will probably be the same as the size of Galaxy Note 2 which can be a good and a bad thing in the same time. Some of you need larger screens, some other need compact devices with good performances. The screen of the new device will probably be larger and this is a reason why the bezels will be slimmer. You can see into the picture below the differences of design between those two brothers. We have to say that the image was digitally obtained, but the association is quite good. 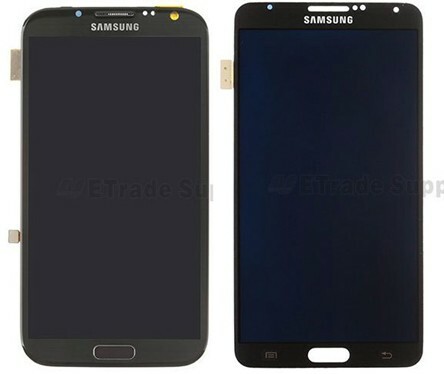 You can see a larger screen size for Note 3, which will be 5.7 inch while the predecessor has a 5.5 inch display. This is a similar case for the Galaxy S3 and Galaxy S4 which followed the same rule: same size, bigger screen for the new arrival. However, we need to wait September 4 for confirmation.